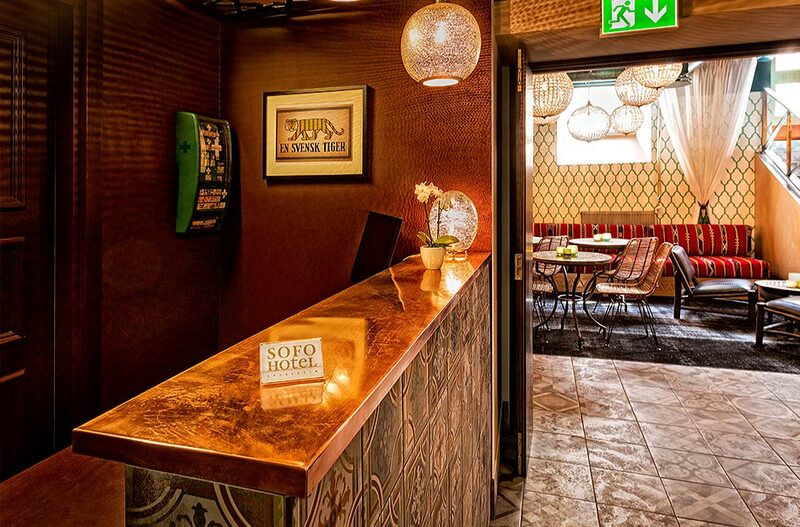 Located in the heart of Stockholm with just 22 rooms, SOFO HOTEL is a unique establishment adding value to the city. The architectural project was headed by a team of builders, architects and interior decorators known for their unique styles. Our spectacular roofing with design elements from the middle east dominates the space. All our rooms features all modern necessities, flat screen TVs and en-suite showers. Together with our interior designers we have created light sources that creates an atmosphere of relaxation. Our rooms are designed for relaxing and sleeping in, we have taken every aspect to ensure you will be happy with your stay. Breakfast is included in the booking. SOFO HOTEL opened on May 9, 2014, just before 6 pm, in a ceremony for a selected few. The VIPs invited to the grand opening enjoyed champagne and a wonderful food buffet. It was a great evening where our guests could meet our interior designers, project managers and architects. Together with Hotel industry VIPs we successfully opened the doors and our hearts to our coming hotel guests.